Coming Soon! More Energy !!! For now we only have this information. 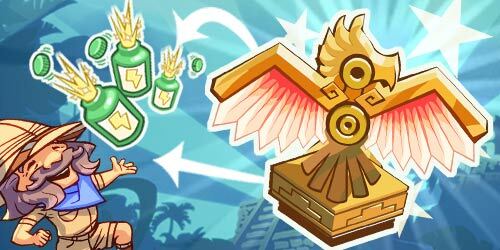 It is the Idol Thunderbird and when harvested it will give you a Energy Pills Pack. As soon as we have more information, we will update you. Stay tuned! Hoover your mouse over the Energy Bar. The number on the right increased due to owning these bottles.